November 6, 2017, Toowoomba: Mahindra Australia, part of the USD 19 billion Mahindra Group, extended its support for an inspiring new initiative in the regional city of Toowoomba. The company will support Karakan, a mental health support provider, which will now deploy a Mahindra Genio in an important daily service. 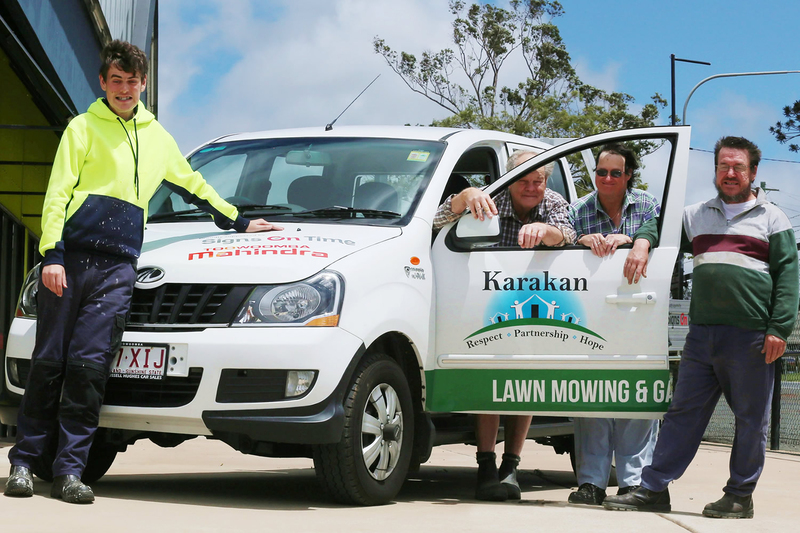 Founded in Brisbane in 1972 to provide individual support for people with a disability and/or mental illness, Karakan has been serving the community in Toowoomba since 1994. According to Paul Booker, Karakan General Manager, "We provide support through the community for people who are living in their own homes with disability or mental illness or a combination of both. These supports can be in the form of living skills, building networks, going to the doctors, or just getting out in the community." Mr. Broker further added, "We have seen a significant increase in the demand for our supported employment and with the funding for our new lawn mowing and garden maintenance social enterprise, a vehicle was really the last piece of the puzzle to get it up and running. We had approached quite a few local suppliers. However, we are grateful to Hughes Car Sales and Mahindra for a prompt response. The Mahindra Genio really fits well into our needs. With its stylish exterior and our stickers and signwriting it will really stand out in the community." Russell Hughes, Mahindra Dealer, Hughes Car Sales, Toowoomba said "It is commendable to see the way the Government has opened up the disability services to help get people in the work force. Now there are more opportunities for companies to offer greater services like this to be active in supporting their local communities. It is a noble cause and Mahindra and Hughes Car Sales are delighted to be associated with it." One of Karakan's most exciting activities in Toowoomba is its supported employment business model, which provides employment opportunities within timber manufacturing and furniture restoration. With an increase in demand for its services, it has formed a new social enterprise - a lawn mowing and garden maintenance business which will employ people with disabilities to work outside of Karakan's manufacturing business. Mahindra Australia was the only manufacturer to aid Karakan with an exciting offer and the new business will be powered by a new dual-cab Mahindra Genio. That Genio is perfectly suited to community use, given its size of the cabin, the reliability, the fuel consumption and the size of the tray. Karakan - Jarad Hayter, Garry Charles, Geoffrey Nothdurft, Russell Mickan.